Corrective jaw, or orthognathic surgery is performed by an oral and maxillofacial surgeon when the top and bottom jaws don’t meet correctly and/or teeth don’t adequately fit within the jaw. Teeth are straightened with orthodontics, and corrective jaw surgery repositions a misaligned jaw. Surgery can improve chewing, speaking, and breathing. While the patient’s appearance may be dramatically enhanced as a result of their surgery, orthognathic surgery is performed to correct functional problems. Any of these conditions can exist at birth, be acquired after birth as a result of hereditary or environmental influences, or as a result of trauma to the face. 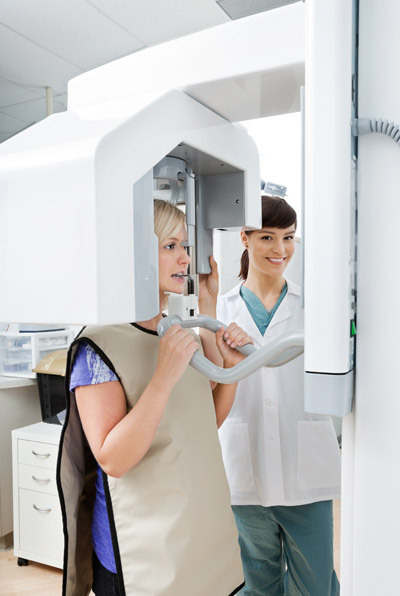 Before any treatment begins, a consultation will be held to perform a complete examination with x-rays. During the pre-treatment consultation process, feel free to ask any questions that you have regarding your treatment. When you are fully informed about the aspects of your care, you and your dental team can make the decision to proceed with treatment together. Dr. Conquest uses modern computer-aided techniques and three-dimensional models to show you exactly how your surgery will be approached. Using comprehensive facial x-rays and computed tomography we can show you how your bite will be improved and even give you an idea of how you’ll look after surgery. This helps you understand the surgical process and the extent of the proposed treatment. If you are a candidate for corrective jaw surgery, Dr. Conquest will work closely with your dentist and orthodontist during your treatment. The actual surgery can move your teeth and jaws into a new position that results in a more attractive, functional, and healthy dental-facial relationship.